The Election Commission of India (ECI) today issued a notification for November 19 by-election to Hayuliang assembly constituency in Anjaw district of Arunachal Pradesh. While last date of filing nominations has been fixed on November 2, scrutiny of papers would be done on November 3 and last date of withdrawal of candidature is November 5. 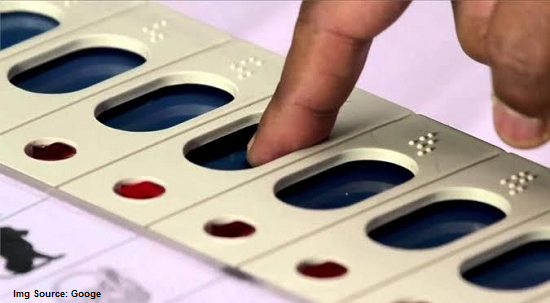 Counting of votes would be done on November 22, state deputy chief electoral officer D J Bhattacharjee informed in Itanagar today. The seat fell vacant after former Chief Minister Kalikho Pul committed suicide on August 9 this year. The constituency with a total electorate of 11,003 including 5,508 female voters, has 81 polling stations of which three - Kibitho, Aphumna and Taflagam - are situated near the international border with China. The highest number of electors are in Hayuliang polling station with 955 voters while Malogam polling station has only two voters. The chief electoral officer (CEO) had called a meeting with DC and SP of the district to review poll preparedness at Nirvachan Bhawan on October 24, in which Nodal Officer from police headquarters, representatives of DC Lohit, DC Namsai and representative of BSNL were also present. Another meeting of political parties was held here yesterday where the CEO sought cooperation for smooth conduct of poll, Bhatacharjee said. Directions were given to Anjaw DC to set up few polling stations with women polling personnels only. One model polling station would also be set up amongst the international border polling stations. Necessary logistic support on polling personnel, micro observers, sector magistrates and vehicles would be given by the Lohit and Namsai district administrations. Adequate security personnel would be deployed for smooth conduct of election. Directions were also given to implement model code of conduct strictly and take stringent action towards the government employees who are involving in political activities. The BSNL authorities were directed to provide reliable communication facilities considering the geographical condition of the district, Bhatacharjee added.